Thinking of investing in a Rainwater Harvesting system as a surface water management aid? Need some help in calculating the correct tank capacity? Working in conjunction with Liverpool John Moores University, RainCatcher brings you a tank sizing calculator which we offer completely free of charge to set you on the right path to reduce your water usage and in turn your bills. The easy-to-use tool will tell you the tank size you require and the savings you can expect from the system. Get in touch with one of our highly qualified Rainwater Harvesting team today – we don’t just tout the importance of collecting, filtering, treating, storing and re-using the water that lands on your roof, we are BPEC Rainwater and Greywater Harvesting qualified – certifications are available to view on request. 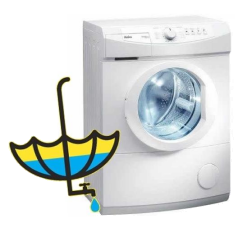 QUICK TIP: Could a washing machine be ran on rainwater?! Most definitely, because rainwater is naturally soft (tap water is often harder) – for you that means less powder and softeners, better wash results, and it’ll save you money as well as the environment. Please note: we would, as always, highly recommend the use of certified, qualified and experienced designers and installers at all times. ← Rainwater Harvesting Maintenance and Reporting – Why Choose RainCatcher?